A gorgeous, if a bit reclusive, baboon species. 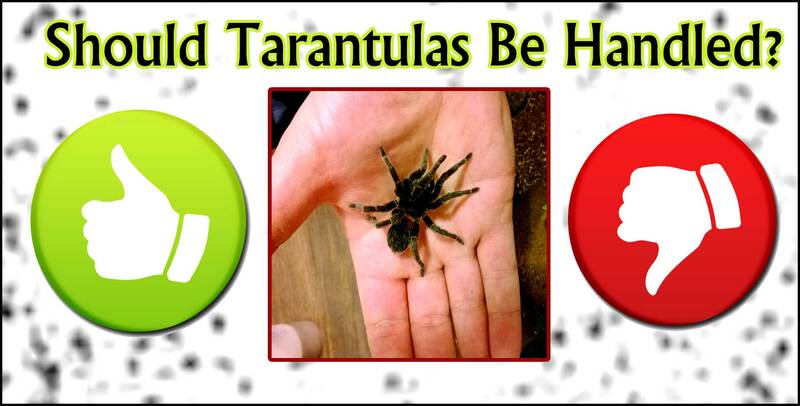 Back in August of 2014, I ordered a couple .75-1″ Hysterocrates gigas slings from Jamie’s tarantulas. At this time, I had been acquiring several baboon species, and I had become fascinated with the gigas since discovering YouTube footage of one seemingly diving into water and swimming. I had never heard of this behavior from a tarantula before, so I decided that I definitely needed one in my ever-expanding collection. Upon receiving the two timid slings, I housed them in 32 oz Ziploc deli containers. The T. gigas is a fossorial species that loves to build intricate and extensive burrows, so the taller cups allowed for several inches of moist substrate for tunneling. Within a day of being introduced to their new homes, both of my slings burrowed straight to the bottom. The first several months I kept my gigas slings, I rarely saw them. I keep a number of fossorial speices, and I usually have good luck catching them out and about in the morning when I come down for work and first turn on the lights. These guys, however, were much more reclusive and difficult to spot. Occasionally, I’d catch a glimpse of a back leg as one quickly slunk down into its burrow, but that was about it. I did know that they were eating well. Twice a week or so, I would drop in a cricket, and it was almost always gone by morning. On the rare instance that the prey item was still there the next day, I would just assume the spider was in premolt and wait a week to try again. Due to the amount they were eating, I guessed that they had to have put on quite a bit of size during this period. However, the fleeting glimpses I was able to catch of them made it difficult to assess their size. For temperatures, they were kept 72-75° in the winter and 75-80° in the summer months. I didn’t notice any difference in how much they ate due to seasonal temperature changes. 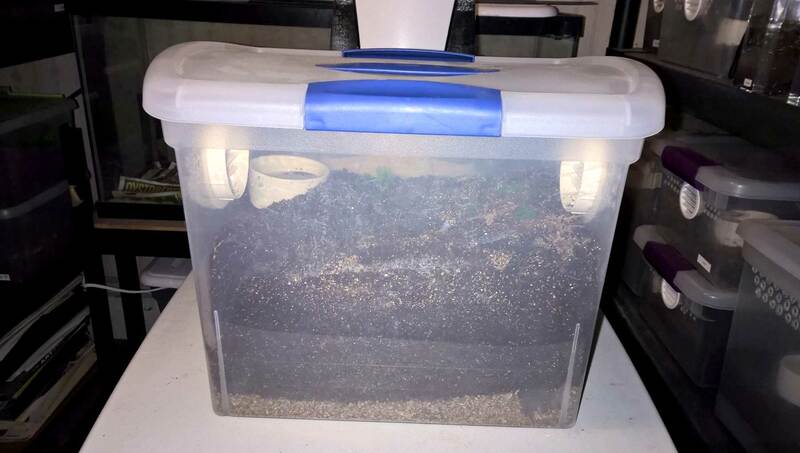 This is a species that does not tolerate dry conditions, so I made sure to keep the substrate moist by periodically pouring water in and letting it percolate down the sides of the enclosure. This helped to keep the lower levels of its den damp even as the top of the substrate dried out a bit. I also provided each with a small water dish (both were unceremoniously buried several times). Finally, in March of 2015, about 7 months after I first acquired them, I opened one of the enclosures to find a gigas perched right on the surface. I was floored. My little sling was now easily a 3″ tarantula. I had heard that this species had a fast growth rate, but I wasn’t prepared to discover a spider this large. It was time for a rehousing. The H. gigas is an Old World species recognized as having a nasty disposition and a potent bite, so I was particularly cautious when rehousing these two. They both proved to be a bit skittish, but I saw no defensive behavior from either. That said, tarantulas are known to experience temperament changes as they mature, so they could easily develop a bit more attitude in the future. Many keepers have reported that their specimens are quite defensive and willing to bite. Currently, both of my specimens are spending more time on the surface, and I usually catch them out in the mornings. If disturbed, they will immediately bolt back to their burrows (which made getting these photos a joy!). 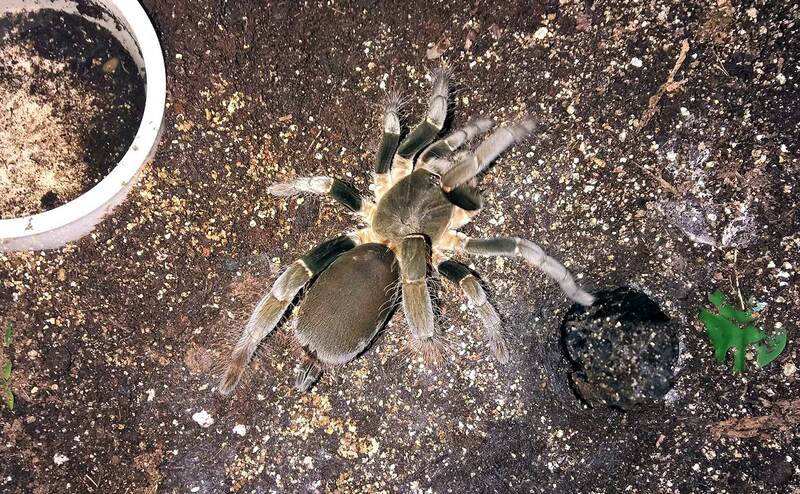 The H. gigas is readily available in the hobby with slings usually fetching about $15-20. For those interested in fast-growing Old World fossorial species, that price is an absolute steal. 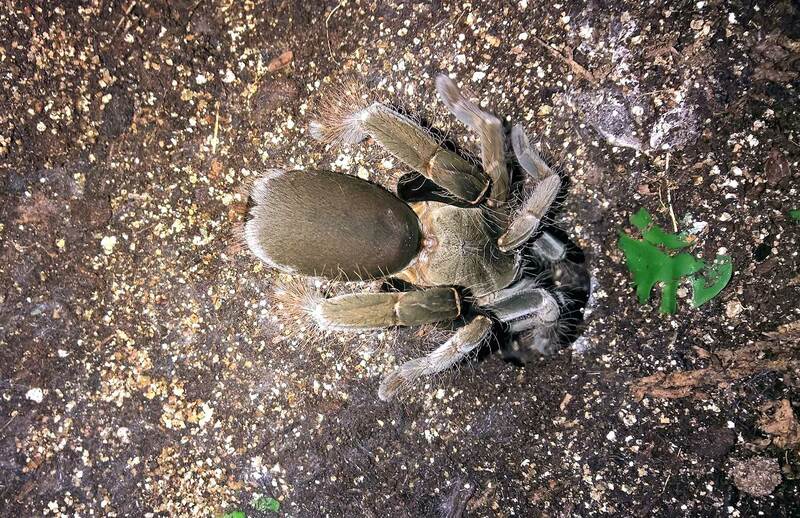 This is a beautiful and interesting species, if a bit shy, and a wonderful to addition to any baboon tarantulas enthusiast’s collection.